Brainwashed - Koray Kantarcioğlu, "Loopworks"
Originally released by Wounded Wolf Press as a limited release (only 100 cassettes were made) back in 2016, Loopworks finds Turkish visual and sound artist Koray Kantarcioğlu (Ankara, 1982) exploring the unlimited possibilities of databending. As source material Koray used samples he dug from Turkish records that were released in the 1960s and 1970s, creating this unique sound using various effects, such as reverb, echo and tempo. Loopworks impacts almost instantly mainly because it shows some familiarity with the recent work of Leyland Kirby as The Caretaker, particularly because of the "haunted ballroom" effect. Kirby connects more with the idea of memory and its disappearance/transformation, Koray Kantarcioğlu explores the usage and the dynamic of these sounds as ambient music for different scenarios and the importance of a new-found life of the raw material he used to create these songs. The source material appear as enigmatic as these new sounds and activate a sense of discovery and constant wonder throughout Loopworks. With the vinyl release of Loopworks we continue to manifest the importance of showing how technology and geography create different and original approaches to the standard western interpretation of field recordings and sound manipulation. Koray Kantarcioğlu’s work here is a strong manifestation of that and how "haunted music" can express myriad feelings and sensations. 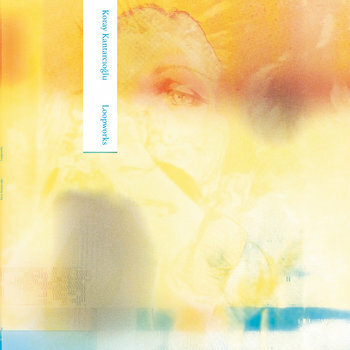 Loopworks has a tremendous vision of the metamorphosis that's been occurring in ambient music during the last decade. Sometimes it is dreamy and calm as aquarium music is ("500606" or "22 47 91 Take 1"); surprising and infinite as "263 Loop," one of the few tracks with a voice, in this case a mysterious and transcendental one; or part of a John Carpenter & David Lynch film yet to be made ("Organ Extract KP 001"). A fantastic voyage, from earth to space, through time or simply as the most beautiful and peaceful dive into the ocean. Old music transformed into something new, unique. That's special.